EREMS has designed and developed simulators for several generations of ARGOS and SARSAT satellite beacons. EREMS specialises in the design of electronic instruments for high technology applications. EREMS has its own engineering, manufacturing and tests facilities located in the heart of the European Space region: Toulouse, France. For over 25 years, EREMS has been developing its expertise in the design for embedded systems integrated with customised software applications. The last model used in acceptance integration and validation phase of the GALILEO Payloads programme. 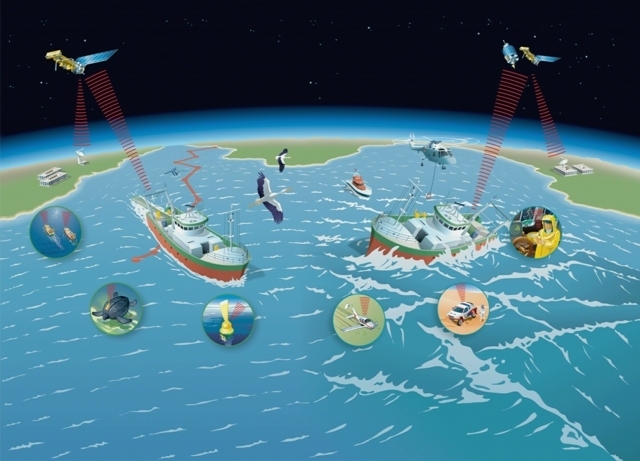 ARGOS and SARSAT satellite beacons enhance performance for data collection, search and rescue. Each simulator features: * A compact PC including one SMT395-VP30 DSP module and an ADC board. This system computes and generates the modulation waves of the ARGOS/SARSAT beacons in real time (up to 32 at a time over 4 channels). * Digitalised signal generated are controlled and transmitted in real time by the PC to the payloads. The user software interface and the DSP software were designed by EREMS using 3L Diamond. The DSP software code was developed and optimised in Texas Instruments assembly language in order to support the beacon data throughput. The instrument can generate the following type of modulations: BPSF, QPSK and GMSK. The simulation of transmission channel includes phase error, gain error, Doppler and quadrature error. The next generation of simulator is being developed (program 2009-2010) using the SMT362 dual C6455 DSP and Virtex-4 FPGA device. This new device will simulate more satellite beacons over more channels in real time.